The 2018 Conference of Automotive Remarketing (CAR) detailed the biggest topics concerning wholesale remarketing, and also elaborated on technological developments that may impact the industry as a whole. 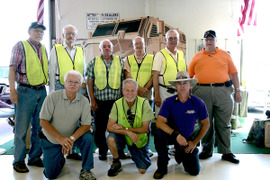 Read the full story here.&nbsp;Photos by Andy Lundin. 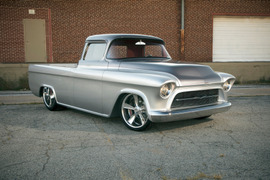 As vintage Chevrolet trucks increase in popularity with enthusiasts, more trucks are going up for auction and sale prices for the most coveted trucks keep increasing. As we look back at 100 years of Chevy truck history, here&rsquo;s a gallery of the nine most expensive Chevrolet trucks sold at Barrett-Jackson auctions to date. Photos courtesy of General Motors. Automotive Fleet Editor Mike Antich visited the PARS company headquarters in early October, where met with leaders of the vehicle transportation company. Read more here.&nbsp;Photos by Mike Antich. The 2016 Conference of Automotive Remarketing (CAR) took place March 16-17 at Caesars Palace, Las Vegas. Now in its 21st year, CAR delivered high-quality discussions and information on subjects ranging from automating the if-bid system to how to maximize auction earnings to a look forward to residual values for 2016-2017. In addition, attendees had plenty of opportunities to network and build their personal and professional connections. Photos by Chris Wolski and Steve Reed. The 2015 Conference of Automotive Remarketing, which is produced by Bobit Business Media, publisher of Automotive Fleet, celebrated its 20th anniversary in Las Vegas from March 18-19. Highlights included keynote addresses by Hall of Fame Buffalo Bills quarterback and cancer survivor Jim Kelly and Auction Broadcasting Co. 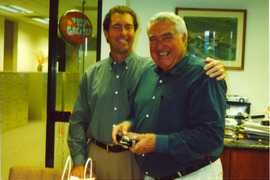 Founder and CEO Mike Hockett Sr. Photos by Chris Wolski and Steve Reed. 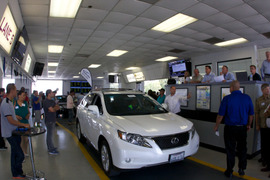 The behind-the-scenes journey a vehicle takes from input to auction and beyond is an exciting experience. The following is a visual road map of an auction from beginning to end at Manheim's Riverside, Calif., operation. Photos by Blake Bobit and Chris Wolski. 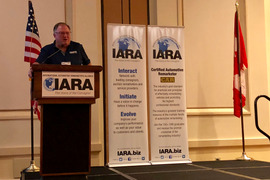 The International Automotive Remarketers Alliance (IARA) 2014 Summer Roundtable attracted a record attendance of 203 remarketing professionals. 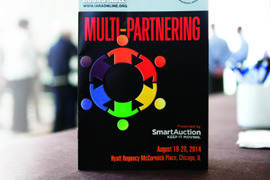 The conference was held Aug. 19-21 at the Hyatt Regency McCormick in Chicago. Photos by Ana Miyares Photography. Ed Bobit, founder and chairman of Bobit Business Media, publisher of Automotive Fleet,as well as many other media brands, passed away June 29 at the age of 86. Bobit was a man of outsized pleasures, but none more than his work and family, which were usually one and the same.&nbsp; We hope you enjoy these photos of Ed enjoying the very full life he led. Read the full story&nbsp;here. The 19th annual Conference of Automotive Remarketing (CAR) changed venues this year to the Paris Las Vegas Hotel. 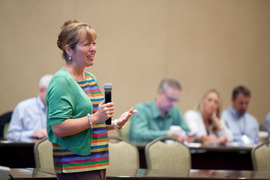 Perhaps reflecting this change, most of the sessions and events looked to the future of the remarketing industry. Read more coverage of CAR here. 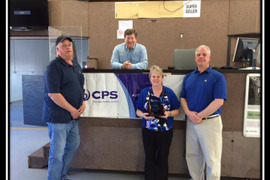 Carolina Auto Auction and its dealers raised $5,000 for the Wounded Warrior Project throughout the month of May as part of its annual Support the Troops campaign.